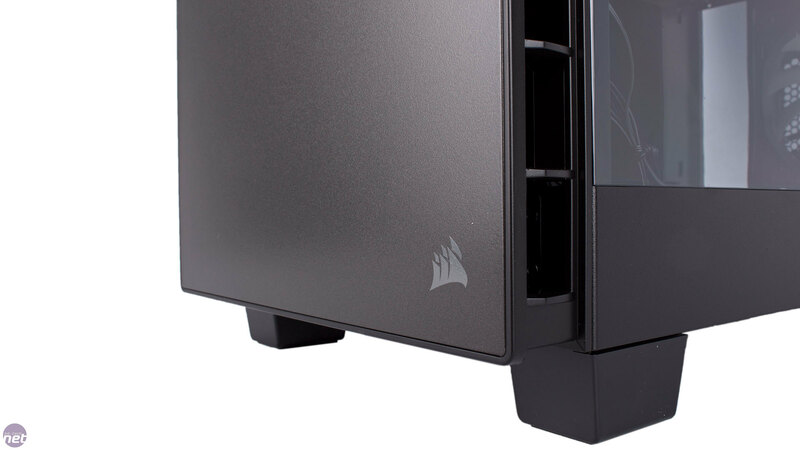 Corsair's Carbide series doesn't really have an overarching theme – we've seen cases in a number of shapes and sizes carrying the name, notable ones being the 500R, which has a standard tower design, as well as the dual chamber Air 540 and Air 240. 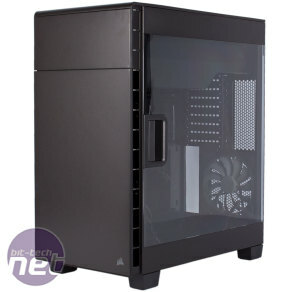 Now, Corsair is branching into another area of case design, specifically inverted ATX, with the Carbide Series 600 chassis which comes in two flavours: the Carbide 600C and Carbide 600Q. The C stands for clear, as the 600C, which we're reviewing today, comes with a large side window, while Q stands for quiet as the 600Q is the low-noise alternative with noise-deadening foam fitted. The quality of the design and materials impresses with the 600C, although you would hope so given the £120 asking price. The flat, steel panels work nicely with the clean cut edges to achieve a minimalist look, and the one curved edge between the front and the roof looks neat too. 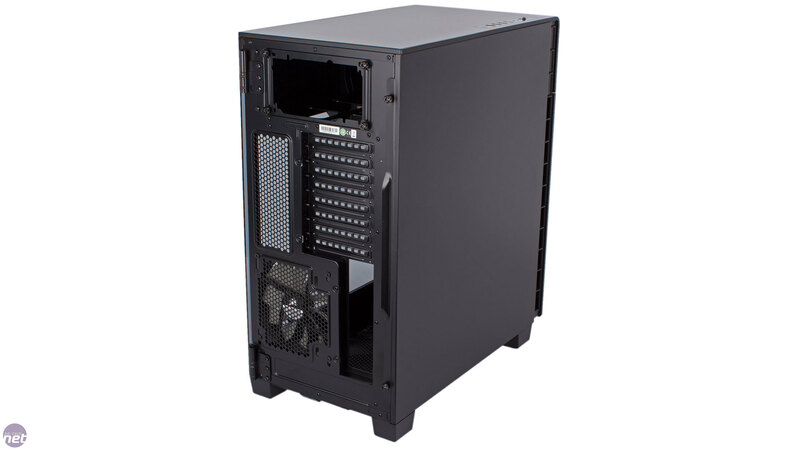 The front panel has a plastic core but the outer steel layer ensures it feels very rigid along with the rest of the case. The one exception is the large window, which has a massive amount of flex when pressed. This isn't a massive issue since it doesn't bulge out and isn't misaligned, but a bit of extra strength here wouldn't go amiss. Thankfully, despite a slight tint, it works very well as a window, giving onlookers an excellent view of the hardware inside. The front fascia is completely solid which will of course impede airflow compared to cases which opt for a mesh finish here, but the upside is the maintenance of clean looks and also a deflection of some of the noise that would otherwise escape here. 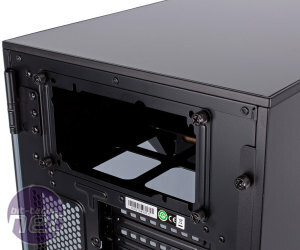 The sides of the front panel also have ventilation, and not just the token tiny holes that many cases employ when they claim to feature this. The side vents of the 600C really are massive, and should actually allow a fair amount of air in. 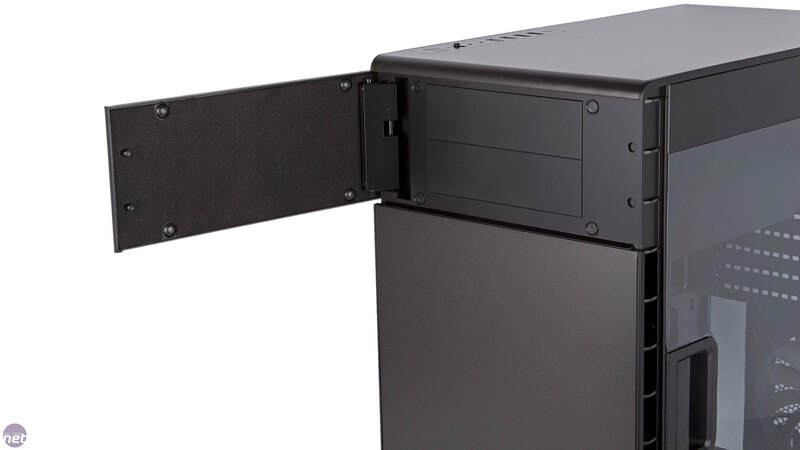 The front I/O panel's location on the roof means the 600C may be best placed on the floor for easy access since it's 535mm tall. 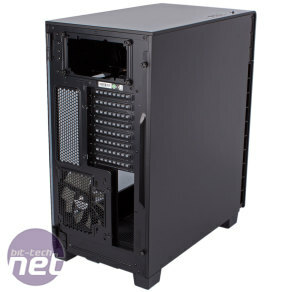 That said, a desktop positioning will net you and jealous friends a better view of the hardware inside, especially because of the inverted ATX layout that leaves the core hardware closer to the floor. It also means you'll want the case to the left of you in order to see inside. 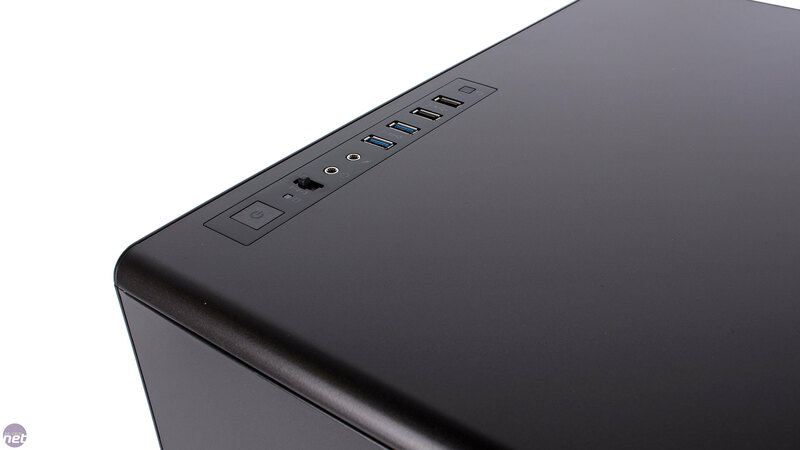 Back to the I/O panel, and we have a good set of connections: audio jacks and four USB ports, two of which are USB 3. 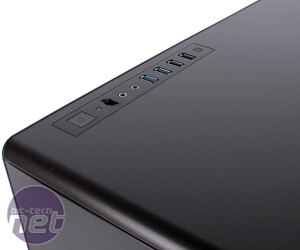 Both the power and reset buttons have a solid action and, finally, there's also a simple three-speed fan control switch. Onboard fan control is always a nice touch, and will be especially useful for the low-noise Carbide 600Q. 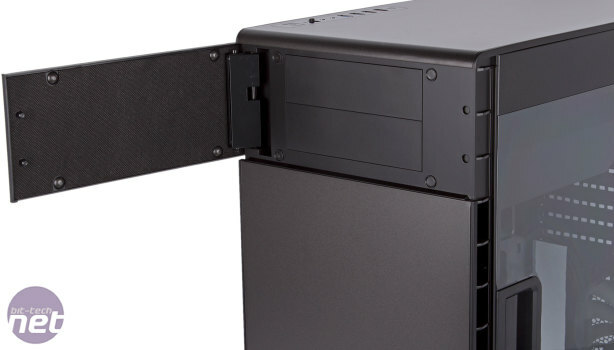 The top part of the front panel is actually a magnetic door, behind which is the pair of drive bay covers for the two optical drive mounts. 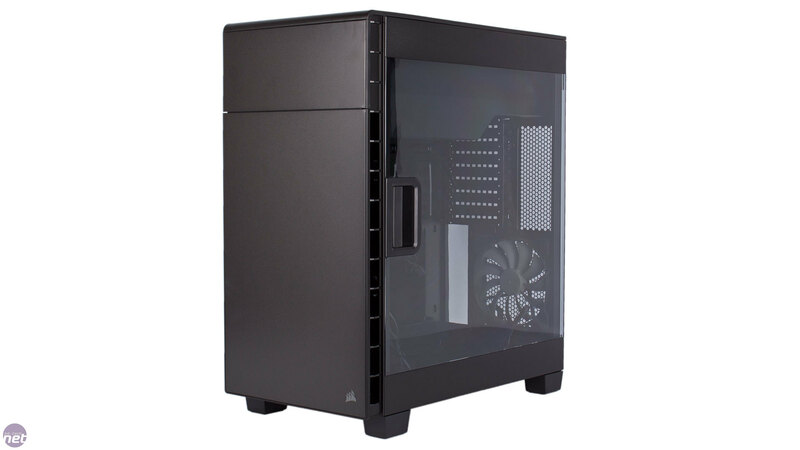 The Carbide 600C is equipped with three Corsair AF140L fans out of the box, which is what we'd expect for a case this price. 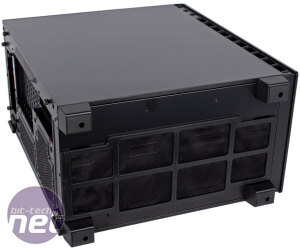 There are two front intakes and one rear exhaust, with room for up to three more fans in the bottom mounts. 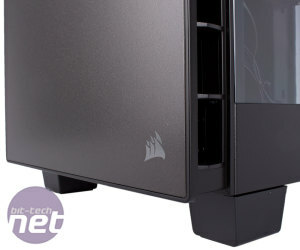 The roof of the case is devoid of fan mounts, with Corsair instead opting for a solid panel that will again help to stop noise escaping. 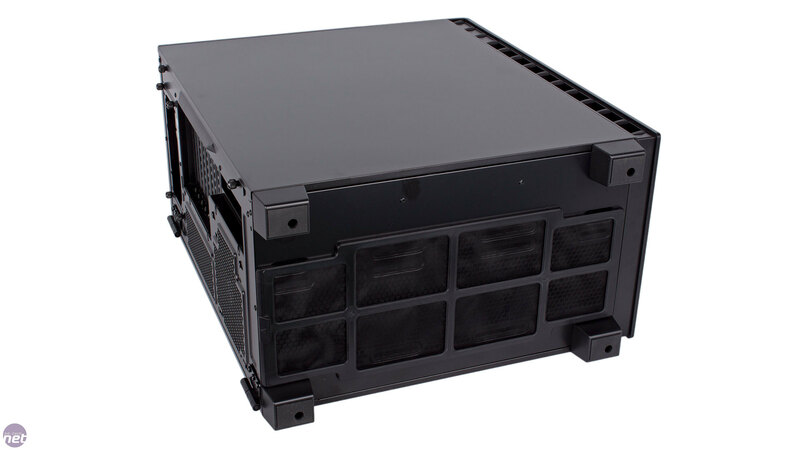 Potential Carbide 600Q buyers should note that it only comes with two fans by default (one front intake instead of two), but obviously you do get noise insulating material in that SKU as well. Pleasingly, the chassis is fully guarded against dust. The bottom area is shielded by a full length, magnetic filter which, thanks to the ample clearance that comes courtesy of the four rubberised feet, is easy to get off and refit once you're done cleaning. There's also a front filter, though to get at this you need to open both side panels in order to release the front panel and finally expose it – it's a shame there's not an easier method for this. 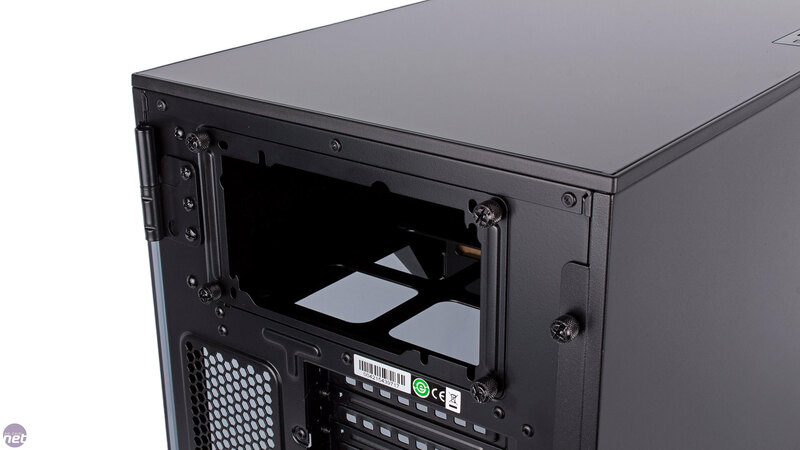 Lastly, at the rear of the case you'll find a thumbscrew-mounted PSU bracket and eight expansion slots meaning the case supports situations where you need to fit a dual-slot expansion card in the lower most slot of your ATX motherboard.